Could your work make London smile? 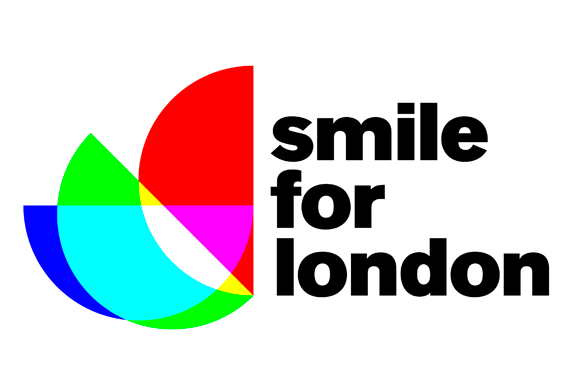 The plan is that for two weeks from January 17, 2011, Smile for London (SfL) – in conjunction with its media partner CBS Outdoor UK (which owns and manages the projectors) will be taking over the platform screens on weekday mornings during rush hour. A programme of film, art and animation will showcase the best of London’s emerging and established creative talent. Also, during the evening rush hour, the screens will display listings and previews of art events coming up in the capital. Hooray for the House of Illustration…finally a place for illustrators to feel at home. And hooray for a competition encouraging thoughtful responses to literature, exploring the image/text relationship in a poetic way. Welcome to the House of Illustration’s online competition site. We are delighted to be working with The Folio Society on this inaugural competition and have chosen The Outsider by Albert Camus as the book to be illustrated. We hope this will provide a fascinating challenge to all illustrators. The competition is open to anyone over 18 who is not a Folio Society published illustrator. The deadline is 10 January 2011. This website tells you everything you need to know about how to enter. Please read all the instructions really carefully before submitting your entry, and please register here so that we can let you know when the website is ready for you to upload your images. Starting March 15, Print will be accepting submissions for our 2011 Student Cover Competition. This year, we’re asking students to tackle an essential question for designers (and magazines) head-on: What is the future of print design? How will the tangible, ink-on-paper pieces that designers love coexist with design on digital platforms in the years to come? Please create a cover that addresses this issue and submit it no later than June 30 July 15. For the first time, we will only be accepting submissions that are sent as digital files (students, if you can find a way to visually communicate the irony of this, given our cover topic, we will applaud your efforts). Please send the following items to studentcover [at] printmag [dot] com. • A completed entry form. Download Print’s logo to use on the cover here. The deadline for this competition is July 15, 2010. Please see the entry form for other submission information. We will be announcing the winners and honorable mentions for the 2010 competition soon—stay tuned! Back issues of Print, including past winners of the Student Cover Competition, can be found in our online store. Submissions are invited for Peculiar Pleasures, an exhibition of contemporary illustration scheduled to take place at the Milkwood Gallery in Cardiff, Wales, during the first two weeks of November 2010. Inspired by Jorge Luis Borges’ book of Imaginary Beings artists are invited to submit work that depicts those creatures that have been conceived through time and space by the human imagination. A monster is no more than a combination of parts of real beings, and the possibilities of permutation border on the infinite… and in this way it seems we could evolve an endless variety of monsters – combinations of fishes, birds, and reptiles, limited only by our own boredom or disgust. Work will be considered whether, like Borges, you have delved into classic literature in search of the mythical creatures of old, or have discovered inspiration within more contemporary works. Do not feel bound to literature however, as contemporary artists and illustrators you are free to examine all facets of our culture and explore the physical world in as much depth as those ethereal spaces that stand on the margins of our consciousness between the known and the unknown. Abandon logic and reason, find a way in which to illustrate the redolence of our existence and the ineffable mysteries of nature; rouse our senses and ignite our imaginations. Work which challenges our perceptions and expectations of Illustration will be encouraged and as such work in all media, whether two dimensional, three dimensional or time based, will be considered regardless of how sumptuous, or indeed, how grotesque it might be. Artists will be notified as to whether their submission is successful by Friday 1 October 2010. Self-initiated, personal or experi mental work, which has not been commissioned or published. Illustration for magazines and news papers including news, fashion and advertorial. Includes commis sioned as well as non-commissioned work. Work commissioned exclusively by design agencies. Médecins Sans Frontières (MSF) is an independent humanitarian medical aid organisation. We are committed to providing medical aid where it is most needed, regardless of race, religion, politics or gender; our independence means that often we can work in places that others can’t reach. MSF is also committed to speaking out on behalf of the patients we help in times of crisis. This is a fantastic opportunity for young designers as the brief is intentionally loose. All we ask is that designs include the MSF logo and reflect the spirit of MSF’s work. Designs must adhere to the visual style guidelines regarding the use of the MSF logo. You may submit up to 3 designs, either individual or as part of a series. Calendars : Fit a hanging calendar onto a quarter yard of fabric. Deadline is Monday, November 16, 2009. Celestial: Starting from a non-digital piece of art — collage, painting or drawing — create a fabric design with a celestial theme. Deadline is Monday, November 23, 2009, at noon EST. Children’s Clothing: Create a sewing pattern and design for an article of children’s clothing that includes — in one yard — all the pieces, cut lines, seam allowances and short instructions printed directly on the fabric. Deadline is Monday, December 14, 2009, at noon EST. Details and entry forms for all three of these contests can be found here .